Delicious pizza! Crunchy crust, lots of cheese, good sauce, LOTS of incredible toppings, good dough, and it's all reasonably priced. 5/5, one of the best places in the Lower Mainland! Customer since day one. Always delicious. Great quality ingrédients! Capicollo and pineapple and you will be happy. Sweet and spicy. The pizza is fairly good. There is quite a bit of grease, but no more than the popular chains. The flavor is quite nice, but some of the ingredients are not great (I suppose this can be said of any restaurant though). Overall, the food is decent and worth a shot, but don't expect to have your mind blown. This is the best pizza in New Westminster hands down. I've basically ordered from every shop in in the city and Papa Dave's has the best crust, toppings, and cheese. The Reviews Don’t Lie! We have the Best Pizza in New Westminster! As a family owned and operated business, we pride ourselves in being a local landmark in New Westminster and we value each and every one of our customers. 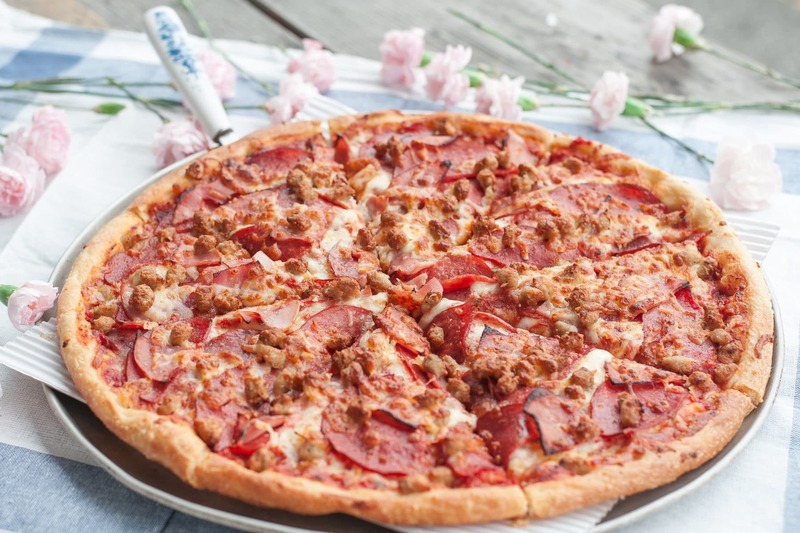 Nothing makes us happier than hearing “Papa Dave’s Pizza has the BEST pizza in New Westminster!” – and we hear it alot! Just check out our amazing reviews on this page and on Google and even in the local newspaper. We’d love to hear about your experience ordering take out or delivery from our location on 20th Street. Please drop your review in the comment box below or stop by and tell Papa Dave in person! We stumbled across Papa Dave’s purely by accident and really glad we did. The pizza was absolutely delicious and the service was fast and friendly. One customer inside drove all the way from Delta just to eat there.. Thank you for a wonderful meal Papa Dave’s. We’ve definitely found a new place to order pizza and we’ll be back for more..
My wife and I just ate at Papa Dave’s and we thoroughly enjoyed our meal. The salad was very good and the pizza was terrific. The topper on the pizza was that we were able to bring our own bottle of wine with no corkage fee. We will return. Copyright © 2019 PAPA DAVE'S PIZZA. All Rights Reserved.